You play against the Dealer who spins the roulette wheel and handles the wagers and payouts. The wheel has 37 slots representing 36 numbers and one zero. Place your bets using your mouse on your "lucky" numbers and try to win a jackpot. Have you ever seen movies where handsome guys in pretty lady companies are placing the bets and winning a lot of money? Well, maybe you should try your luck in virtual world at first. Choose your luckiest numbers and prepare to win the jackpot. Flash games developers are guided by the desires of online games fans in their work. A significant segment of gamers prefer to spend their time playing games that contain elements of gambling. One of the most popular components of gambling houses is undoubtedly roulette. Players fell in love with it for a high chance of winning and a special emotion of the gaming process. The roulette wheel and the ball launched by the dealer move in the opposite direction. Making at least three full turns the ball falls into one of the cells with a specific number. It is noteworthy that the rates can be done not only for a certain number but also for another game indicators: color, dozen, parity, sector, etc. 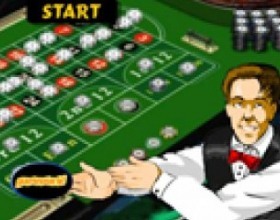 In the game room of our website you will find the most interesting flash games of the Roulette genre which we selected for you from the immense gaming space. 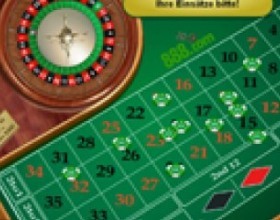 Start the game with a “Casino Roulette” and you will feel the atmosphere of a real casino. A starting capital of a player is only $500 but makig a successful bids for the lucky numbers and colors you can multiply your money in several times. 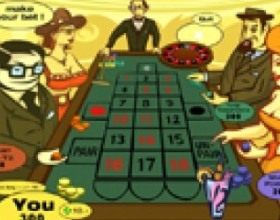 Another adventure in a genre of a classic roulette is “Roulette Game”. Select chips, make your bets and spin the wheel of fortune. It is interesting that the very history of roulette is quite contradictory. It revolves around a mass of allegations about who has invented it indeed but the evidence supporting the validity of these stories is surprisingly insufficient. 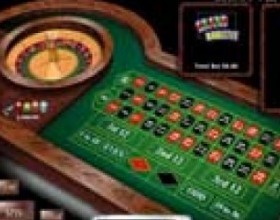 The game of roulette has several varieties, for example, there are fundamental differences between the American and European roulette. The tables on which the game is played are different too. Educational games of this genre provide an opportunity to learn various versions of the game and winning strategies. A game “Roulette” is also quite interesting. Here the gamer can understand the rules established by the casino and improve the skills of determining the lucky numbers. 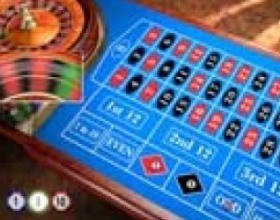 “Grand roulette” does not leave time for boredom, you can wager not only the numbers but also on the specific game patterns. Roulette is also sometimes called a "devil’s wheel". This is due to the fact that the sum of all the numbers on the drum is equal to 666. Considering this the games of the Roulette genre are often connected with elements of mysticism and diabolism. An interesting variation on the theme of a Russian roulette is represented in a game “Celebrity Russian Roulette”. The game is conducted against the most famous Hollywood celebrities and pop idols. Unlocking secret words and letters of a quiz you can make glamorous stars tempt the fate radically.